I don't remember how I ended up following a pile of teens on Instagram, but I did. 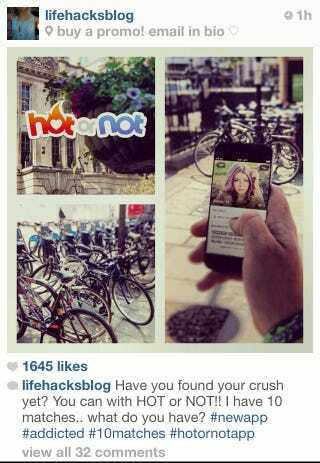 One of them led me to this Lifehacksblog account, which does frequent 'shoutouts' for other Instagram accounts, brands, and websites for money. I find this wildly fascinating. So many of these kids are obsessed with their follower accounts, often listing their goals on their bio (usually along the lines of "love summer and the beach, trying to get to 10k!"). They understand how advertising can "dilute" their brand and frustrate their followers, but they'll apologize for that in another post down the line. I'm going to give this a go and see what happens, wish me luck! Follow back y'all!